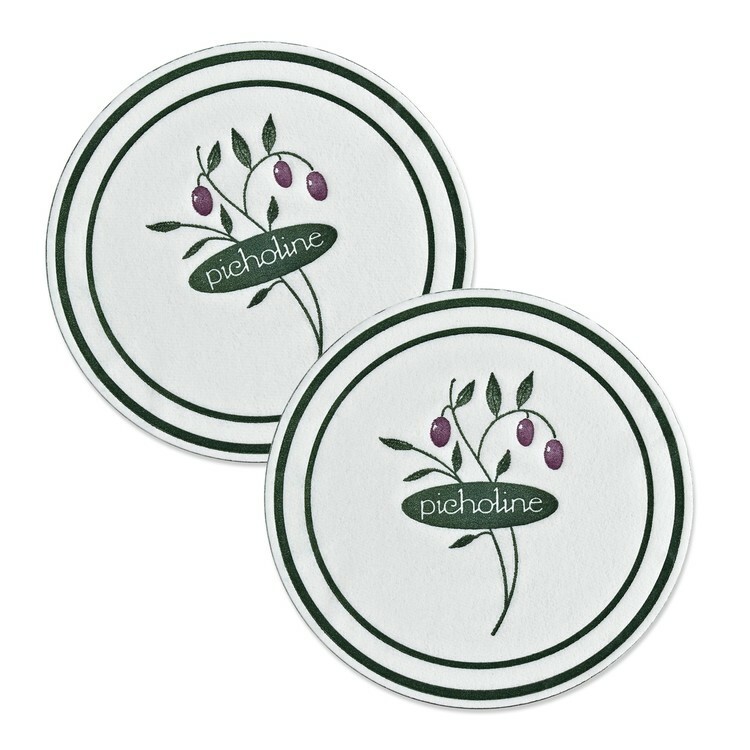 Imprinted on cellulose coasters, your company's name will make an indelible impression on your clientele with each tip of their cup or glass. Debossed custom-imprinted logo coasters for brand recognition belong wherever beverages are served, whether in hospitality businesses or at corporate functions and events. Give your logo this constant exposure! Printing Limitations: Due to the flexible and absorbent cellulose tissue material, with 2-color printing separate plate registration of at least 1.5mm (about 1/16") is necessary. There may be slight color variations from the selected Pantone-U ink colors. Screens, heavy ink coverage, colors abutting, and full bleed print are not allowed. Choose (1) round scalloped edge or (2) round flat edge(shown.) If not specified, scalloped edge round coasters will be produced. Imprinted and debossed on cellulose doilies, your company's name will make an indelible impression on your clientele with each tip of their cup or glass. 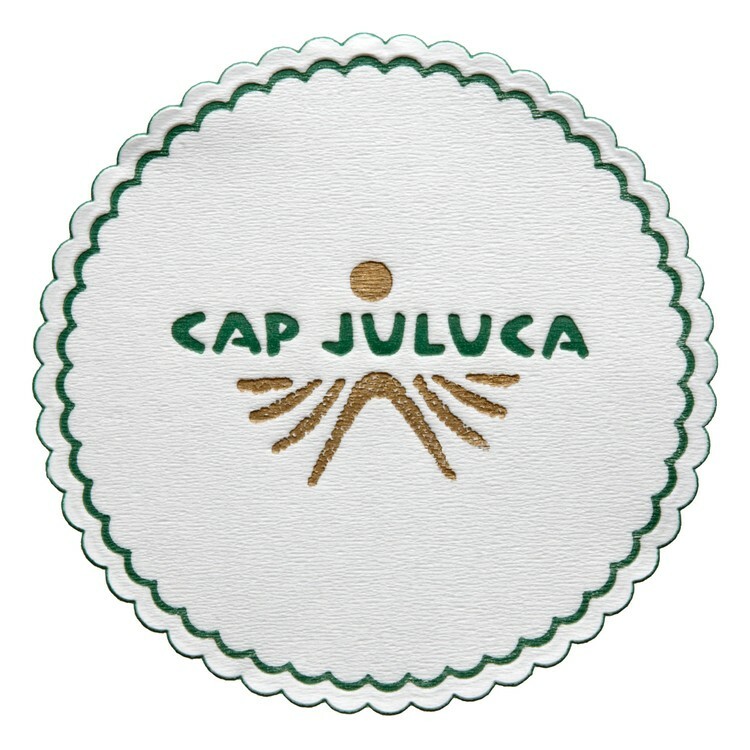 Debossed custom-imprinted logo coasters for brand recognition belong wherever beverages are served, whether in hospitality businesses or at corporate functions and events. Give your logo this constant exposure! Choose (1) round scalloped edge (as shown) or (2) round flat edge. If not specified, scalloped edge round coasters will be produced.